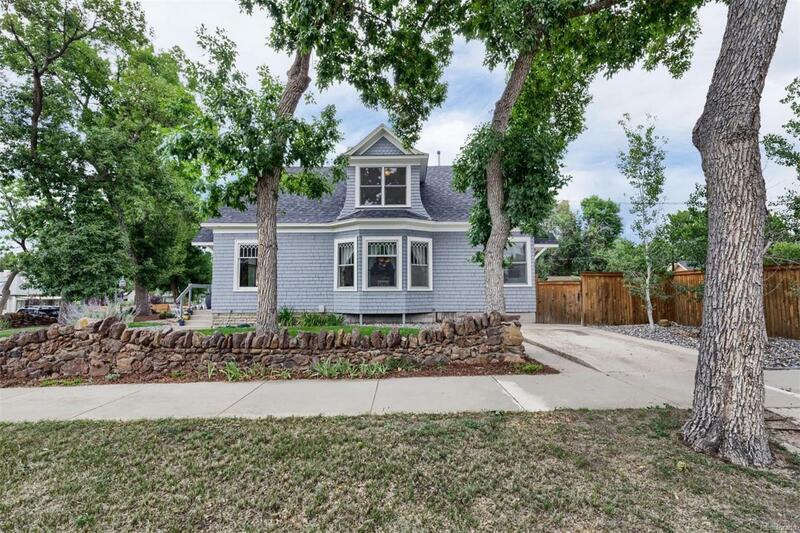 Incredible period remodel in the East End of downtown. Surrounded by a low stone wall, historic charm is amplified by modernity. New upper level completed in 2013 with master suite, upstairs laundry, secondary bedroom, gorgeous bath, loft and upper level laundry room. Ingenious shoji pocket doors create privacy and elegance in the upper bath, while the small but mighty laundry is efficiency at it's best. The attic pitched ceiling master has built-ins, sconces and a fantastic closet with built-in organizers. The kitchen was completed in 2016 with custom faced cabinets, solid surface counters, black-stainless appliances and under cabinet lighting. Original unpainted woodwork and doors on the main level with 9'+ ceilings and sun-filled rooms. In the fenced backyard is a dreamy space thatrewards gardening, entertaining and year-round play.